Cuddle by the island air, let you seduce by Mamma- Tina specialities, which she will prepare every day for you, possibility to choose different type menu. 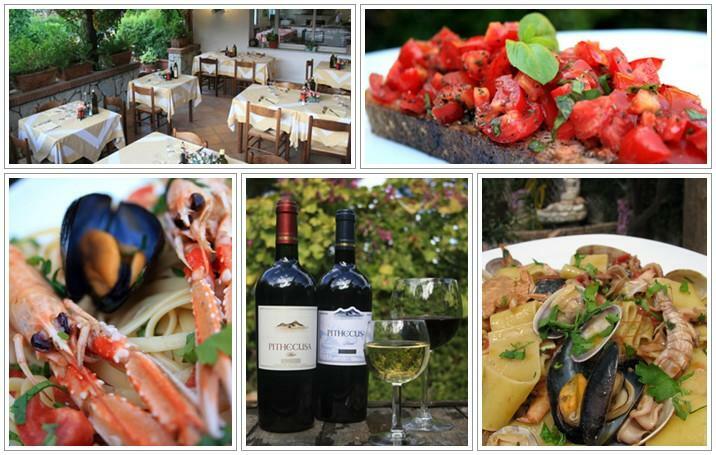 The restaurant offers the best of our local cuisine, specially that of Forio. The products go well with our island wines, bread, fruit, vegetables and all that nature can offer to us. The menu depend on the seasons. The heart and soul of the cuisine are characterized by fresh products, very good pasta, fresh fish, baked potatoes, slices of fried aubergines seasoned with tomato sauce and grated Parmesan cheese baked in the oven and have good pizza! At the foot of Monte Epomeo, to the West of the island, easy to reach by car.